The iPhone keynote was a highlight of Apple's whole ride. Like Bob Dylan strumming the first few notes of “Maggie’s Farm” on the Stratocaster at the Newport Folk Festival in 1965, when Steve Jobs uttered these words at the 2007 Macworld Expo, it was clear that this was no ordinary keynote. What started as a relatively routine presentation—an update on the Intel transition, some stellar sales figures, even a little Windows bashing—quickly became one of his most legendary performances, a rock-star worthy stage show that has been watched and rewatched millions of times. If it was a record, it would have gone multi-platinum years ago. And whether you were lucky enough to be there or you just watched it later on YouTube, Jobs commanded the stage like he was channeling Mick Jagger or Bruce Springsteen. It still holds up nearly a decade later. 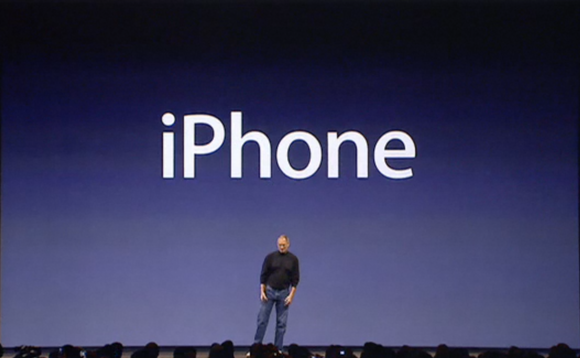 In other years, the iPhone’s warm-up act might have been the star. Before unveiling the product that would transform Apple into the most profitable company in the world, Jobs took the wraps off of Apple TV. It wasn’t completely new—its existence had been teased at the iPod event just a few months prior—but the Moscone Center stage served the first public appearance for Apple’s streaming box, a novel concept at the time. As Jobs briskly showed off what the Apple TV could do, it became evident that he had something else up his sleeve, but no one in the audience (except maybe Jony Ive) had any idea just how big it was. Jobs knew he had a Stairway to Heaven-sized hit on his hands, and he was willing to stake his legacy on it. After the Apple TV demo, Jobs calmly walked over to the table and took a swig of water. Returning to the center of the stage, he looked contemplative, proud as his tone noticeably shifted. He almost seemed nervous as he told the crowd, ”This is a day I’ve been looking forward to for two-and-a-half years.” It was a line as as memorable as George Harrison’s opening riff to “Day Tripper” at The Beatle’s epic 1966 Candlestick Park concert. That show-stopping moment wasn’t even the big reveal. As Jobs talked about the problems with smartphones, his hatred of the stylus and the challenges of designing a touchscreen handset, the best reaction came not from the crowd’s first look at the iPhone, but rather a simple gesture that would quickly become commonplace. Jobs may have played coy, but he knew it was coming. After unlocking the iPhone for the first time, he acknowledged the hushed exclamations of admiration by asking, “Want to see that again?” Like Eddie Van Halen’s first live tapping solo or Don Felder working out the slide guitar on “Hotel California,” that unlocking gesture had them all mesmerized. The rest of the demo didn’t disappoint, even if it never quite matched the level of that first swipe. 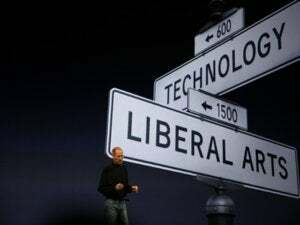 As he took us on a tour of the Mail, Calendar, Safari and Photos apps, the show took on a more traditional feel, with expected applause breaks, timely humor and a few well-placed “booms,” but Jobs’s excitement gave even the most mundane details a palpable, profuse energy. Every pause added a tinge of anticipation, every breath carried a perceptible weight. For some 80 minutes, Jobs delivered a keynote for the ages, a performance whose beautiful craftsmanship was matched only by the iPhone itself. There was no “one more thing” like in years past, and certainly no performance from U2 or John Mayer. Instead of a massive crescendo, in fact, the conclusion was nearly marred by a glitch. When it was time for the slide about iPhone market share predictions, Jobs’s remote stopped working. But it didn’t rattle him. Instead of throwing a tantrum or disappearing backstage to check on the issue, he took the opportunity to share an impromptu story about Apple cofounder Steve Wozniak. It served as the perfect bridge between old and new Apple, illustrating how the company has matured, while acknowledging its rebellious, whimsical roots. As he described how they had used a TV zapper to mess with Star Trek fans at Woz’s Berkeley dorm, it wasn’t just a peek into a young Steve Jobs. It served as the perfect bridge between old and new Apple, illustrating how the company has matured, while acknowledging its rebellious, whimsical roots. It was a spontaneous, real moment, but it felt as if it belonged. Maybe Jobs had the story queued up in his mind in the very event of such a glitch, or maybe the significance of day had caused him to recall it the night before, but it punctuated the keynote in a way a preprogrammed slide never could. And it also served as a segue to the final announcement of the day, that Apple was dropping Computer from its company name. 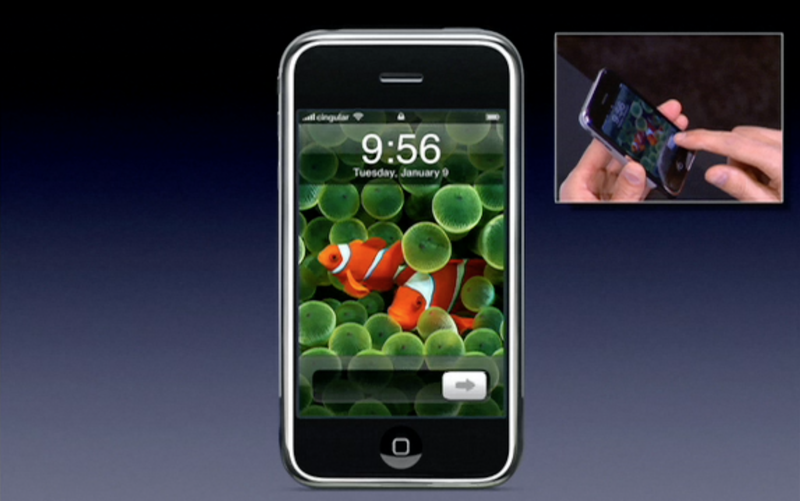 It was a testament to the expanding non-Mac product line, but also a bet that the iPhone was going to be huge. Jobs knew he had a Stairway to Heaven-sized hit on his hands, and he was willing to stake his legacy on it. And with that the house lights rose and Jobs left the stage. We’ll never know what he did after the curtain closed behind him, but I imagine he stole a brief moment alone to reflect on what had just happened, meditating on his time at and away from Apple, and taking one last look at a world that was about to be changed forever.